Wu-Tang: More Than Just Merch | DressCodeClothing.com's Official Blog. Wu-Tang Clan has more than earned their “staple” in hip-hop culture for generations to come. Though as of late, the Rap super group has been getting a lot more attention from the youth, with their own apparel company, Wu-Tang Brand LTD. What was once known as “Wu-Wear” is now its own self-titled label, bringing you any and everything the average, obsessive Wu-Tang fanatic could ever want. With 2014 marking the 20th year Anniversary for their multi-platinum album, “Enter the 36 Chambers” their band merchandise has not only gotten more popular, but Wu-tang Brand LTD also has had the help of a few brands in collaboration. 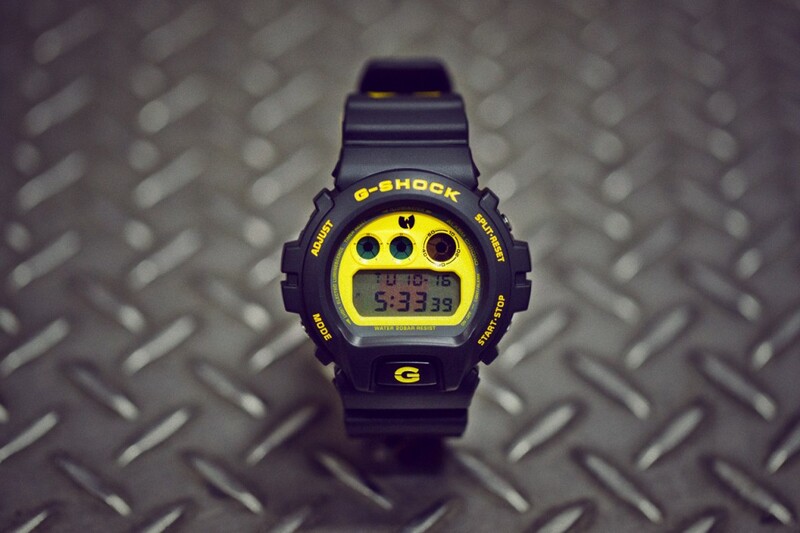 Wu-Tang recently collaborated with G-Shock by Casio on a watch as a commemoration. It’s a black DW-6900 with yellow accents. The Wu “W” shows through the backlight when lit. Since the hype has already passed and they have completely sold out of stores, I wish you the best of luck trying to find one. I’m still on the hunt for one myself, since I don’t feel like paying $500+ from some dude on eBay. 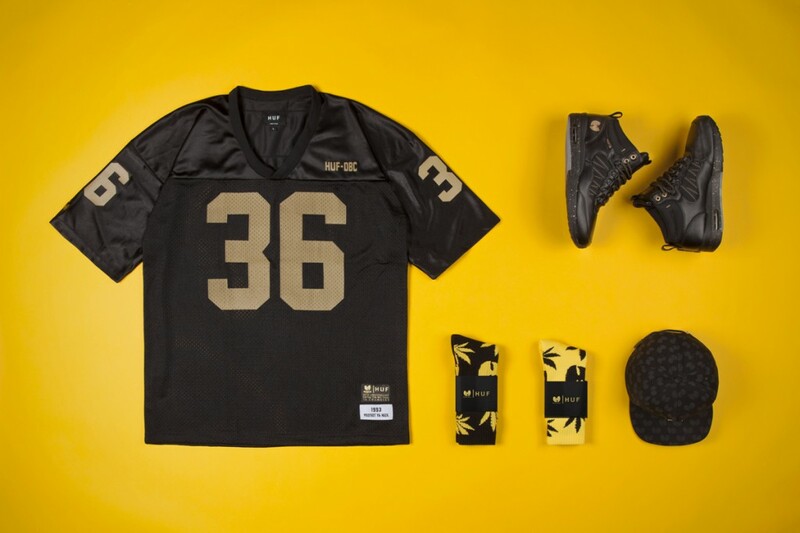 As Wu-tang Brand LTD is gaining a bigger following and continuing to shell out new products, they also recently teamed up with HUF for a sweet capsule collection including a strapback hat, a football jersey, some socks for all you plant-lifers, and a pair of HR-1 Boots all in classic Wu colorways.